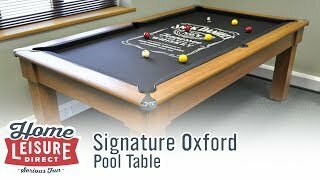 Let's take a look at the Columbia, an American-style slate bed pool dining table, exclusive to our new Signature range: pool tables designed by us and produced by expert craftsman here in the UK. 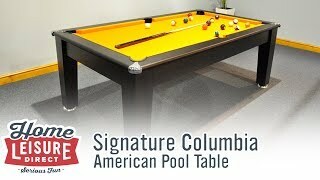 The Columbia is a seven-foot American-style table available in a wide range of different finishes. 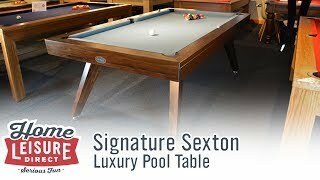 Beech, dark walnut, and light oak are just a few of the nine different finishes that the table can have. 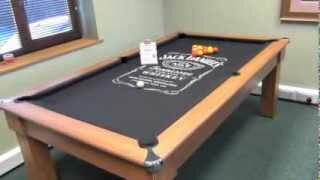 In this case, a stylish black finish has been applied. 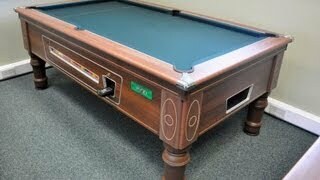 Each Columbia also includes special chrome trimmings on each corner, as well as the feet. 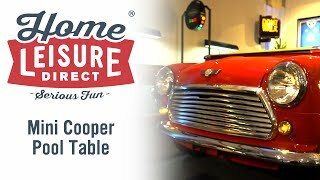 As you can also see, matching dining tops are also available for the Columbia and are in fact included in the price, and can transform the table into a very attractive dining table with ample space for at least six people. 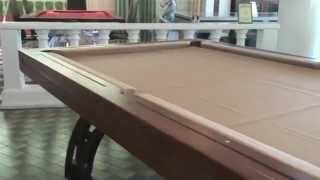 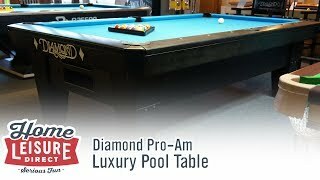 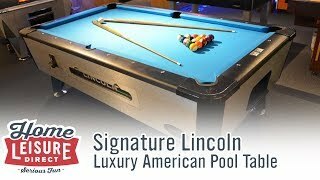 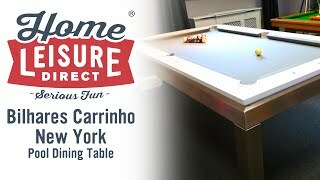 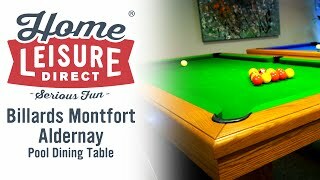 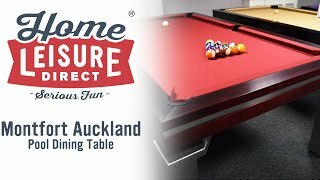 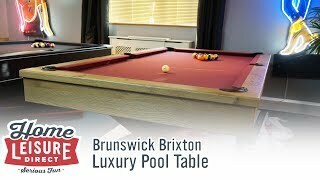 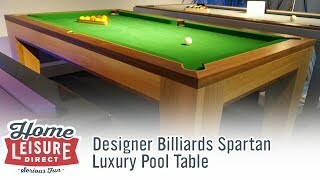 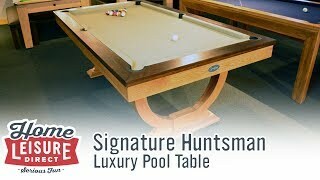 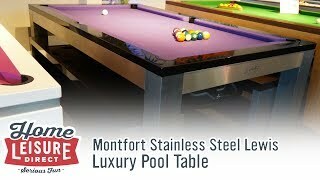 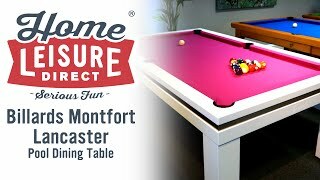 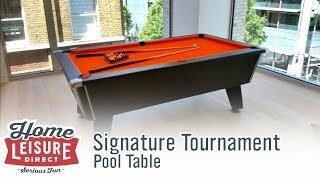 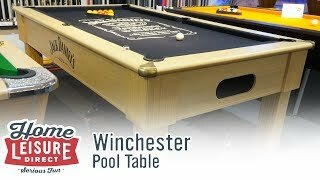 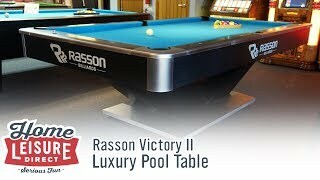 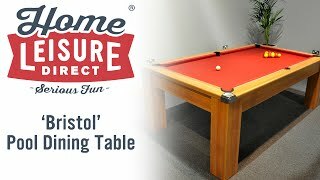 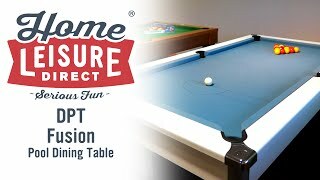 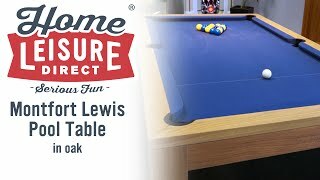 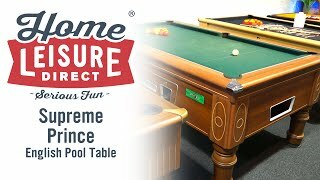 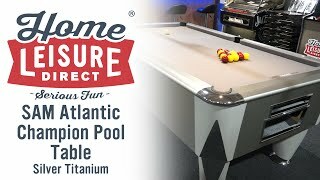 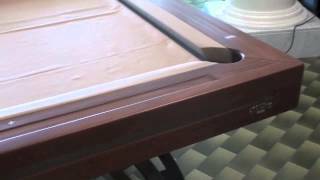 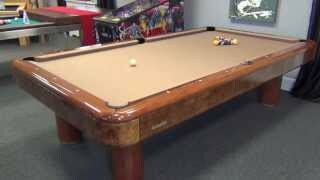 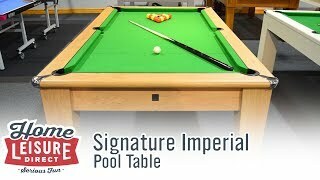 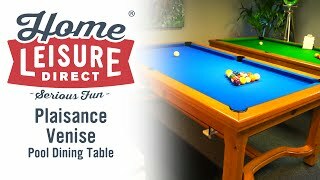 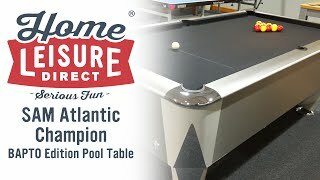 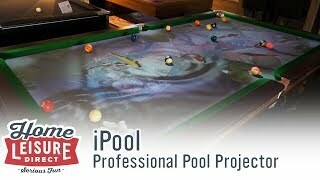 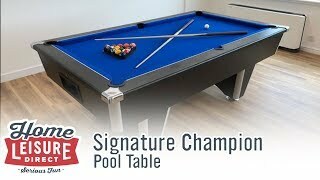 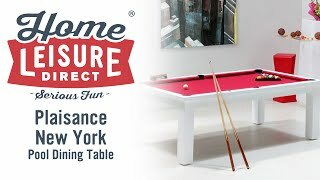 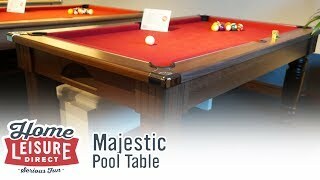 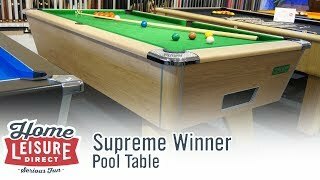 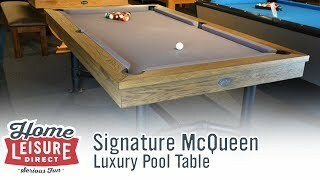 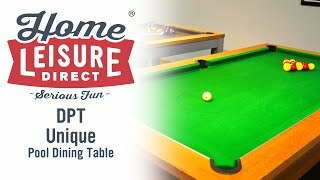 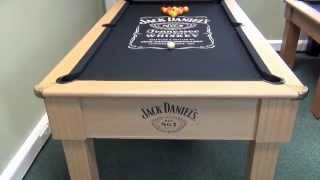 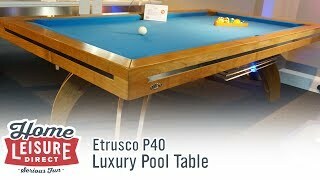 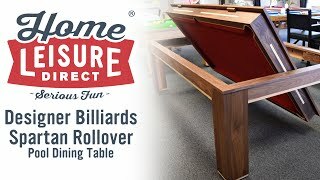 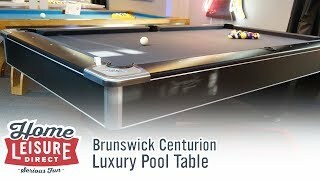 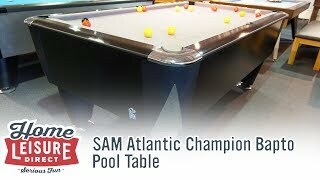 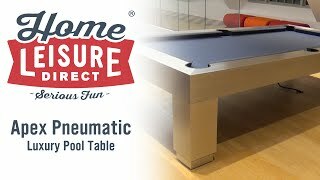 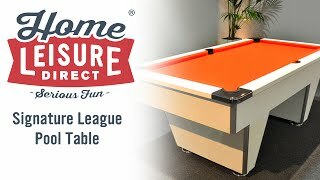 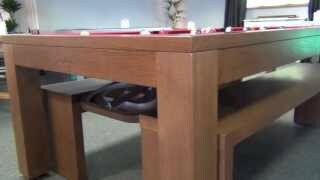 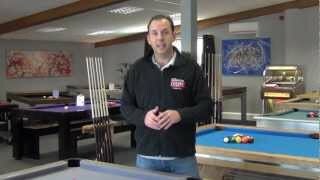 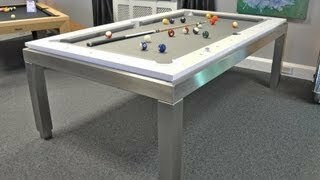 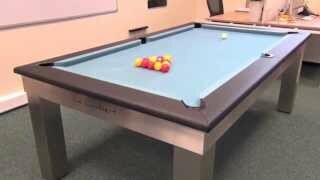 The main aspect that draws people to the Columbia isn't just that it's a slate pool dining table, but also the fact that it's an American-style table, a style normally seen in public locations like pool halls and used in numerous televised competitions. 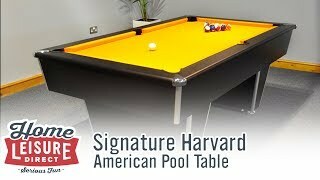 Typically though, American-style tables are more expensive due to the increased sizes. 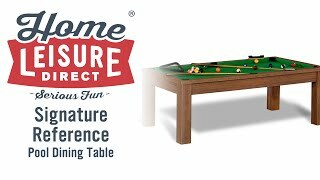 But we're thrilled to say that the Columbia is incredible value, priced significantly lower than most other American-style tables. 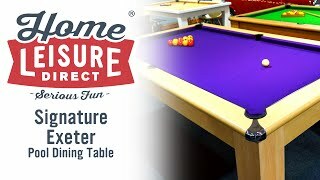 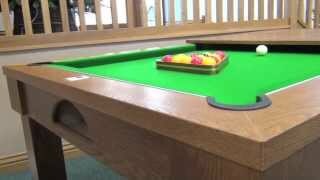 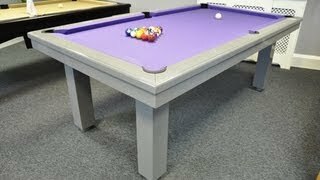 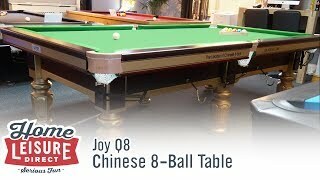 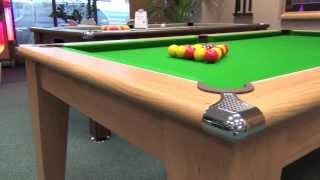 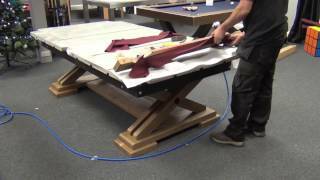 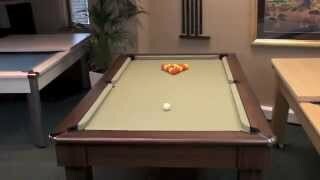 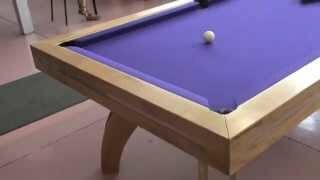 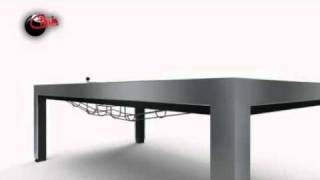 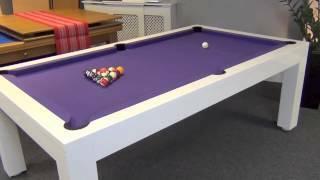 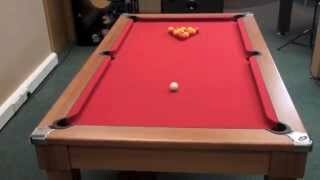 The table includes a full return channel underneath the playing service, which balls will be delivered to following potting. 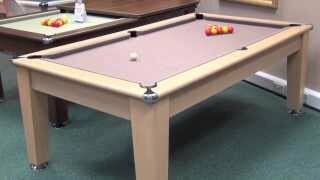 As previously mentioned, the bed is slate, allowing for a smooth and consistent playing surface. 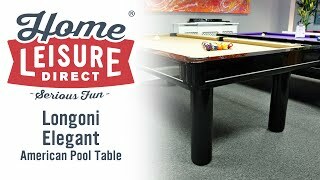 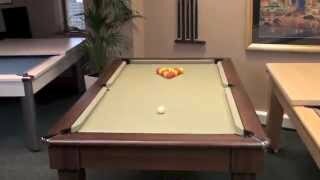 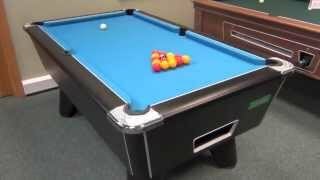 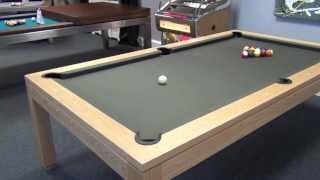 As with most of our other pool tables, a wide choice of cloth colors are available, allowing you to tailor the color to best suit the table's environment. 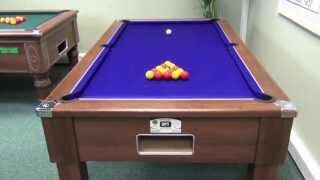 The Columbia, as well as the rest of the Signature range, is on display in our showrooms. 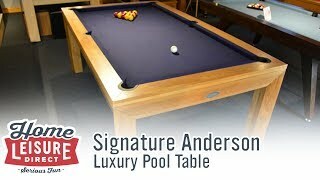 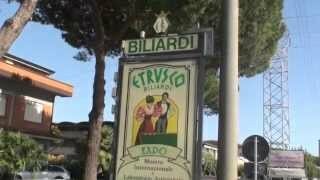 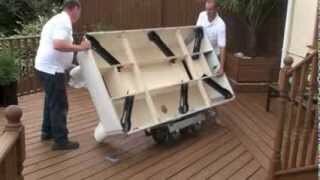 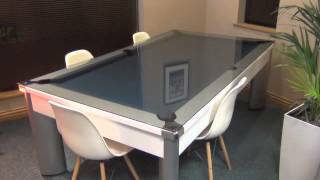 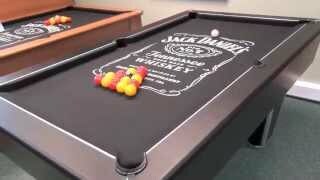 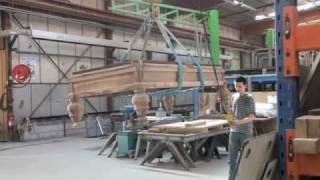 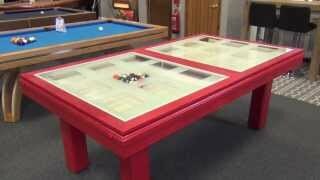 So, we invite you here to get a feel for the table, and to ask our specialist team any questions. 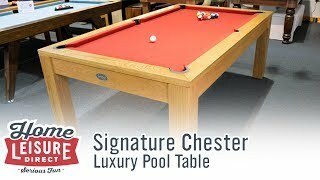 Find out more about the Columbia and the rest of the Signature range at homeleisuredirect.com.